According to me the biggest USP for the OnePlus phones are their software updates. Many market experts criticised OnePlus for leaving the OnePlus 2 customer without the update of new Android OS. But from OnePlus 3 & OnePlus 3T situations has changed drastically. OnePlus 3 & OnePlus 3T was one of the earliest devices to get the Android Oreo update with add-on feature of face unlock and now its time for the OnePlus 5 users to become happy and enjoy the latest features on their handsets. Carl Pei, co-founder, OnePlus tweeted, "Due to popular demand, Face Unlock is coming for the OnePlus 5. Thanks for the feedback, and Merry Christmas!" This announcement comes after the news of OnePlus 5 users getting the Android Oreo update. OnePlus 5T is essentially a bigger version of OnePlus 5 with some minor changes at the back and under-the-hood. Since the display is larger in the same frame size, the fingerprint sensor has now been moved from the front to the back. Rest of the design stays the same. As compared to OnePlus 5, the OnePlus 5T comes with a slightly better camera and a bigger display. The OnePlus 5T has a 6-inch edge-to-edge AMOLED screen with an 18:9 aspect ratio, and automatically adapts to suit the surrounding lighting conditions. Starting at price point of Rs 32,999, the OnePlus 5T comes with up to 8GB of RAM and a Qualcomm Snapdragon 835 processor. Recently, the company also launched the OnePlus 5T Star Wars Limited Edition. Priced at Rs 38,999 for the 8GB/128GB variant, is available on Amazon.in, OnePlusStore.in, and at various offline OnePlus experience stores. The OnePlus 5T Star Wars device boasts of a Star Wars logo on the back along with a "Red Mineral" alert slider. The smartphone is available in Sandstone White color variant. 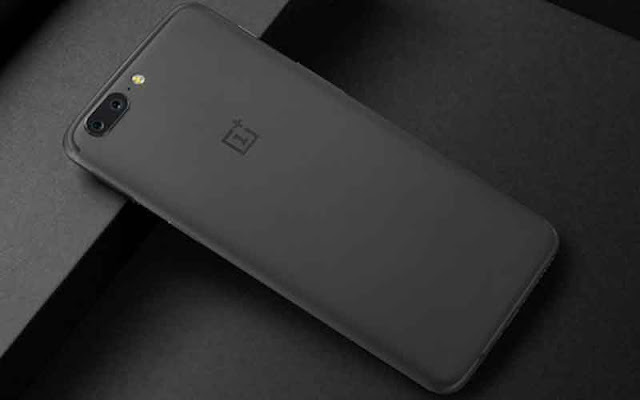 Otherwise, the smartphone boasts of same specifications as the OnePlus 5T. In addition, there's also a special Star Wars theme and 10 Star Wars wallpapers loaded into the smartphone. Inside the box, there's also a special Kylo Ren case.